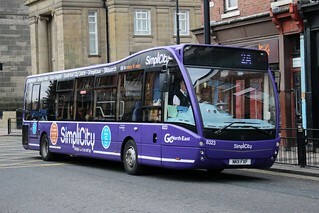 This vehicle has received "Washington Street Shuttle" branding, for the local minibus services operating out of Washington Depot. 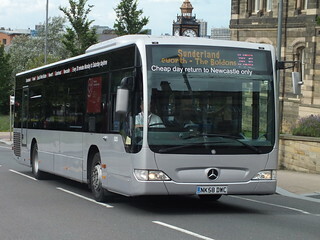 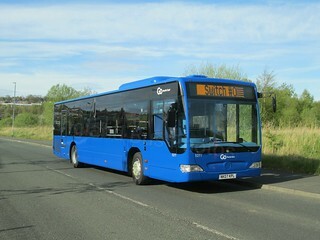 Prior to new branding being launched, this vehicle has been repainted into a plain silver base livery. 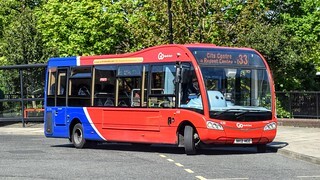 Following the completion of the repainting programme for the former "Venture" branded minibuses cascaded to Percy Main; this vehicle has transferred from Percy Main Depot to Riverside, enabling the cascade and withdrawal of further Transbus MPD/Transbus Mini Pointer vehicles from the fleet.